Pasta Factory: Vegan Mofo, the final day. Rather than cook something spooky I went out to eat for the last day of vegan mofo. 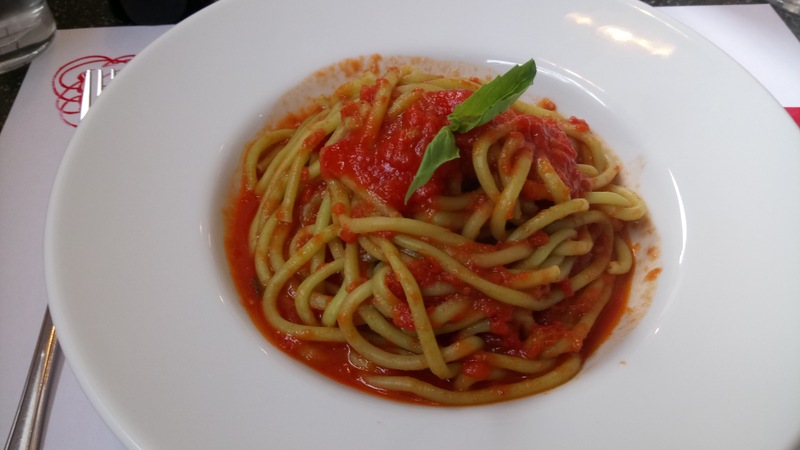 I went back into Manchester to check out the amazing vegan options at The Pasta Factory. I know you’re probably confused about what The Pasta Factory serves, so I’ll let you in on the secret. It’s mostly pasta. Delicious, amazing home made pasta. But first for the Antipasti. I wasn’t actually going to order anything but the pasta. I couldn’t really resist this one though. Look at it! They make that cheese themselves. It’s brilliant. 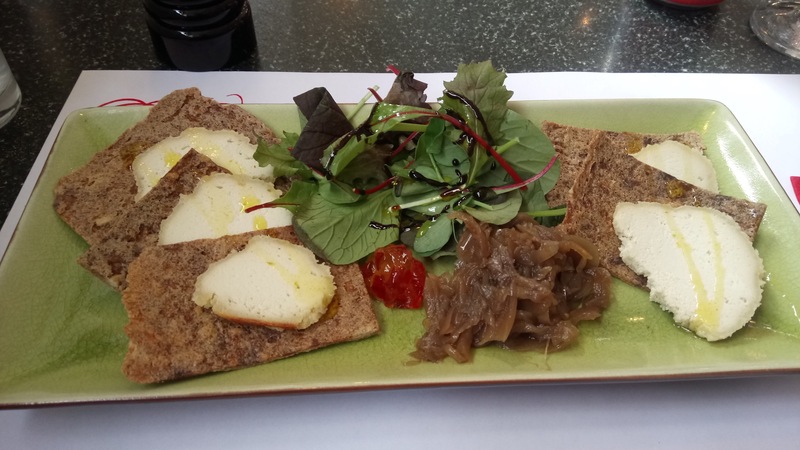 I can’t forget to mention those crackers, they are also homemade and really flavourful which goes great with the more neutral tasting cheese. Bucatini was my Pasta of choice, dyed playfully green from spinach and covered in tomato basil sauce. It was just perfect. Incredibly tasty. Very filling. And a great end to both Vegan Month of Food and my trip to Manchester. I’ve only been there once, and I loved it! I had ravioli followed by dessert ravioli, and I regret nothing! I was too full for desert. But still I regret nothing. Could be their tag line. I was amazed that I was the only one in there. Good Vegans of Manchester, Go Forth an Eat Pasta!